Dil -e- Guldasta collection was recently unveiled by the designer duo Saurabh & Shena under the label Saurabh & Shena The Couture. The collection gave us a glance of God’s foremost creation “Women” and its beauty compared to the true wonders of the universe and the purest form of God’s creation – nature. 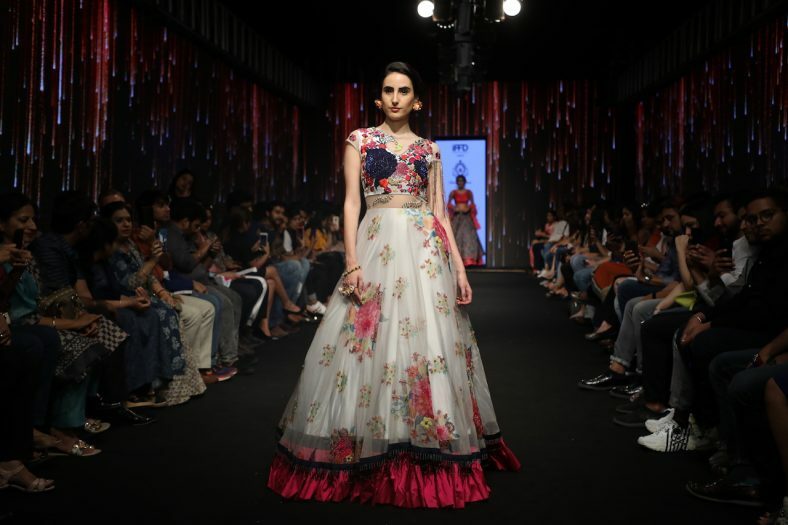 Soul of Saurabh & Shena‘s new collection was well defined by its craftsmanship. 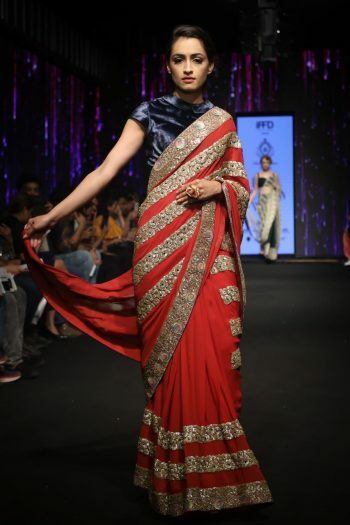 The first outfit is a red saree with intricate sequence and rhinestone with Resham threads that is a pure view of elegance with classical attire. The second outfit is a lemon-green saree worked with Katdana with Resham threads giving a pure touch of style and elegance. 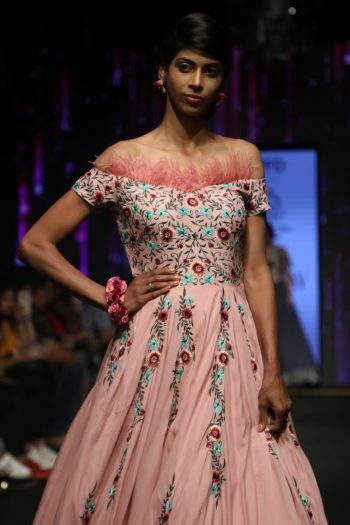 The third outfit of the collection is a pink gown that has an elaborative work of Resham threads and has been highlighted with shimmering sequence and hand encrusted feathers. Another outfit that stands out with its style and elegance is a multi-coloured gown with an intricate work hand dyed chiffons and applique embroidery with the Resham threads, rhinestones and pearls.